Active transport uses energy (ATP) for the moving the molecules in and out of the cellular membranes and therefore remain active, while in passive transport the molecules do not use energy for their movements and so the name is given as passive. 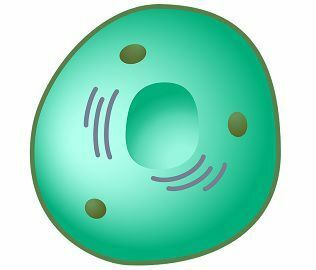 We all know that cell is the basic unit of life. It is responsible for all the activities that occur inside our body. But some specialized cells are assigned to do the specific task, which is essential for the body growth and development. These cells transport nutrients, chemicals, and other substances to other cells, by using this vital transport system. This transport mechanism present in the body is of two types, like active and passive. The main aim of both the transport system is to carry molecules and ions across the cellular membrane. The outer layer is made up of the phospholipid bilayer, which maintains the homeostasis of the cell and checks the entry of the substances. Few specialized proteins along with semi-permeable membrane support the entry of the molecules. With this, we will discuss the important points, which distinguish the two types of the transport system. Meaning The movement of molecules across the cell membrane, pumping the molecules against the concentration gradient using ATP (energy) is called as Active transport. The movement of molecules within and across the cell membrane and thus transporting it through the concentration gradient, without using ATP (energy) is called as Passive transport. Movement of molecules The movement of molecules is from high concentration to low concentration, that means they move against the concentration gradient. The movement of molecules is from low concentration to high concentration, which means they move along the concentration gradient. With the use of ATP, it pumps the molecules upwards. In this, the molecules are moved downwards. It is the rapid process, which occurs in one direction. It is a slow and bidirectional process. Type of molecules which are transported Macromolecules like proteins, carbohydrate (sugars), lipids, large cell are few of the materials which are transported by this way. Oxygen, monosaccharides, water, carbon dioxide, lipids are the few soluble materials which are being transported through this way. ATP (energy) requirement There is the required energy, which is in the form of ATP. No energy is required. Types Endocytosis, Exocytosis, Proton pumps and Sodium potassium pumps. Osmosis and Diffusion. Function Though the function of both types of transport is to carry ions and molecules, separately active transport is used to carry through the cell membrane. It is used to maintain the equilibrium, within and outside the cell of nutrients, water and gases, etc. In the active transport, the molecules are carried from the region of lower concentration gradient to the region of the lower concentration gradient. In this process, the molecules are the pump in the upward direction, and it is the unidirectional process, and therefore this process requires energy in the form of ATP also known as Adenosine triphosphate. The larger cells and molecules like proteins, lipids, sugars, etc. are being transported through this system. Active transport is classified into two categories, like primary active transport and secondary active transport. In the primary active transport, the proteins present in trans-membrane identify the substance which is to be transported and then by using chemical energy ATP, pump these molecules to their respective place. Sodium/potassium pump (Na+/K+ ATPase), is the best example of the active primary transport. In this, the trans-membrane proteins present on the cell membrane recognized the extracellular fluid requirement of the cell and pumped the molecules to be transported. The energy for this motion is provided by the hydrolysis of ATP. In all three sodium ions are moved out of the cell, and two potassium ions are moved into the cells. In the secondary active transport, the pore-forming proteins help in the movement of the ions by forming channels in the cell membrane, by using the electromagnetic gradient. In this, there is the movement of another molecule with the secondary active transport against the concentration gradient, which is called as cotransporters. Cotransporters are of two types: symporters and antiporters. When the solute and ions move in a same direction across the cell membrane is known as symporters. While in antiporters the ions and solute move in the opposite direction, where ions move along the concentration gradient and the solute moves against the gradient. Sodium/calcium exchanger is the example of antiporters. In the passive transport, the molecules are carried from the region of higher concentration gradient to the region of the lower concentration gradient. Here the molecules move bidirectionally and in the downward direction and so does not requires energy, due to the lack of resistance. The main purpose of the passive transport is to maintain the equilibrium in the concentration. Passive transport is classified into four categories like osmosis, diffusion, facilitated diffusion, and filtration. Osmosis is the movement of water molecules, through a selectively permeable membrane. Diffusion is said to be the movement of molecules from the more concentrated solution to the less concentrated solution through the permeable membrane. Even proteins present in cell membrane helps to move molecules quickly and swiftly. So the movement of molecules which involves the proteins as their helpers is called as facilitated diffusion. Filtration is the movement of molecules across the concentration gradient. The passive transportation in the body is observed in the liver, kidney, and in lungs (in the process of exchange of oxygen and carbon dioxide). Active transport can be defined as the movement of molecules across the cell membrane, pumping the molecules against the concentration gradient involving ATP (energy), whereas passive transport can be defined as the movement of molecules within and across the cell membrane and through the concentration gradient, without using ATP (energy). In the active transport system, the molecules move from the region of high concentration to low concentration, that means they move against the concentration gradient and are pumped in the upward direction. On the other hand in passive transport, the molecules move from low concentration to high concentration, which means they move along the concentration gradient and in the downward direction. Active transport is the rapid and unidirectional process, but passive transport is the slow and bidirectional process. The materials which are transported in active transport are proteins, carbohydrate (sugars), lipids, large cells, etc., and that in passive transport are oxygen, monosaccharides, water, carbon dioxide, lipids, etc. Endocytosis, Exocytosis, Proton pumps and Sodium-potassium pumps are the kinds of active transport, while Osmosis and Diffusion are the kinds of passive transport. Though the function of both types of transport is to carry ions and molecules, separately active transport is used to carry through the cell membrane, whereas passive transport is used to maintain the equilibrium, within and outside the cell of nutrients, water, and gases, etc. In this article, we found the function and importance of the two types of important transport system present in the body, responsible for the movement of molecules and ions. With the aim of maintaining the equilibrium and fulfilling the requirements of the cell and the body, these transport system works accordingly. These are so critical that the balancing in any of them may be harmful to the whole body.